The Verna has been a proper success story for Hyundai, not just in India but across the globe. The C-segment in India has seen the arrival of newer products and thus the older Verna started feeling outdated. With the launch of the new car, we are eager to find out how it fares and whether it has what it takes to shake up the Japanese dominated segment. Hyundai Verna On road price starts from 7,98,723/- . 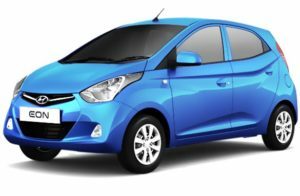 Check for price details of Hyundai Verna in CarzPrice. The Indian spec Hyundai Verna continues with the 1.6 Litre Petrol and 1.6 Litre diesel engines under the hood. The drivetrains has been retuned for better performance and fuel efficiency. The petrol variant is capable of producing about 123 ps of peak power and 15.4 kgm of torque. The diesel variant on the other hand like we already said is powered by a 1.6 Litre unit which is capable of producing about 128 Ps of peak power and 26.5 kgm of torque. Now coming to the transmission option, the current Verna gets both manual as well as an automatic transmission, however the four-speed automatic unit has now been replaced by a new six-speed automatic unit which features six-speed torque converter. This electronic unit also powers the Elantra sedan as well. You can expect the new automatic gearbox also to respond quicker than the old unit. The petrol variant promises to retrun around 17.70 km/l on the manual transmission while the automatic transmission promises 15.92 km/l. The diesel variant on the other hand promises 24.75 km/l with the Manual transmission while the diesel variant promises to return around 21.02 km/l. 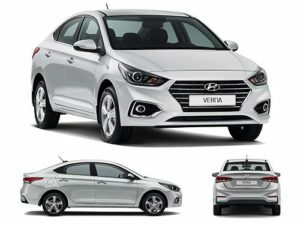 The new Verna is offered in seven colour options, two engine options, two transmission options, slightly improved fuel economy, has 21 new features, has a bigger and bolder stance and is now more stately in its design. All of these together help the car overshadow what is perhaps its biggest flaw – lack of space and comfort at the rear. In this regard alone, the City remains more dominant but in the larger scheme of things, the Verna eclipses the Honda offering by a mile. Bringing down the Ciaz may not be all that simple though because of how Maruti connects with its customers – and because Ciaz pricing still mostly undercuts this new Verna.Nonetheless, Hyundai has managed to mount a very formidable challenge to the Ciaz and the new Verna definitely has the potential to rattle its rivals and create a bigger space for itself in the Indian car market.